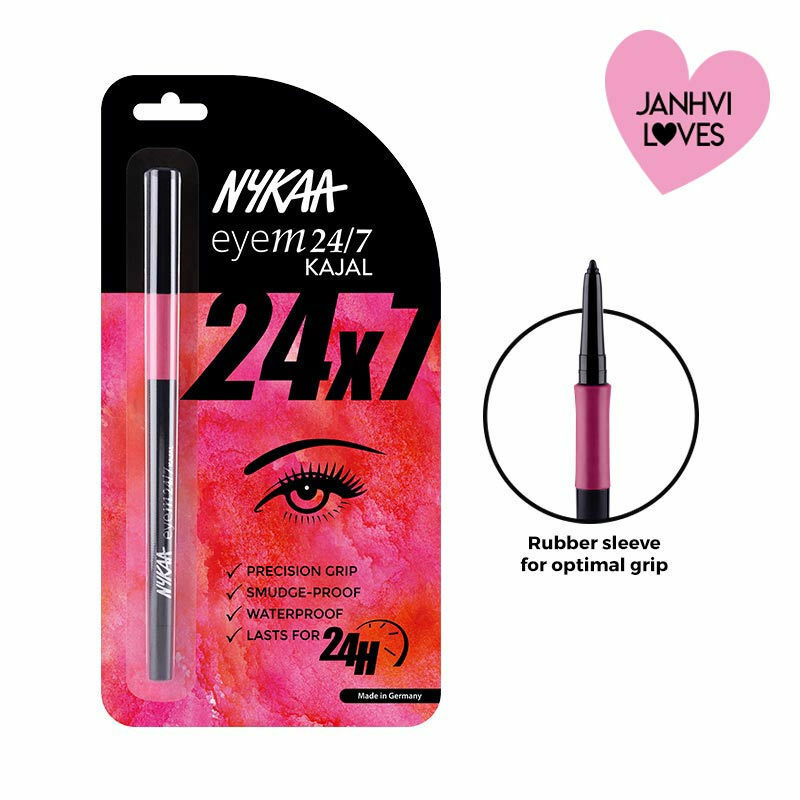 If lasting long was a crime, then Nykaa eyem24X7 kajal would pledge guilty! Come rain or shine, its ultimate waterproof and sweat-proof formula allows it to stay strong all day long. It features a rubber grip that gives a tighter hold and maximum precision. This twist-up, super-saturated kajal with highly cross-linked silicone composition sets it into an unbeatable black finish that doesn't smudge, smear or fade! Explore the entire range of Kajal available on Nykaa. Shop more Nykaa Cosmetics products here.You can browse through the complete world of Nykaa Cosmetics Kajal .